Do you ever wonder if your child’s usual breakfast is providing him with the nutrition his growing body needs? Good nutrition is essential for young children, not only to support their growth and development, but also to enable him to learn well at school. This is why breakfast is the most important meal of the day. Research shows that the food we eat in the morning sets the tone for our digestive system and the rest of the day. Eating well in the morning helps to provide your child with long-lasting energy, aid his ability to focus in class, reduces hyperactivity and can even enhance their mood. The glycemic index (GI) rates how quickly certain foods turn into glucose in the bloodstream. High GI foods result in a spike in blood sugar levels, followed by a slump in energy. Consuming high GI foods for breakfast can lead to a vicious cycle of our bodies craving even more sugary foods throughout the day. Studies have also shown that a diet loaded with high GI foods increases the risk of developing type 2 diabetes, coronary heart disease and obesity. Thus, it is recommended for your child to consume low GI foods, such as whole wheat, oatmeal, and non-starchy fruits and vegetables. 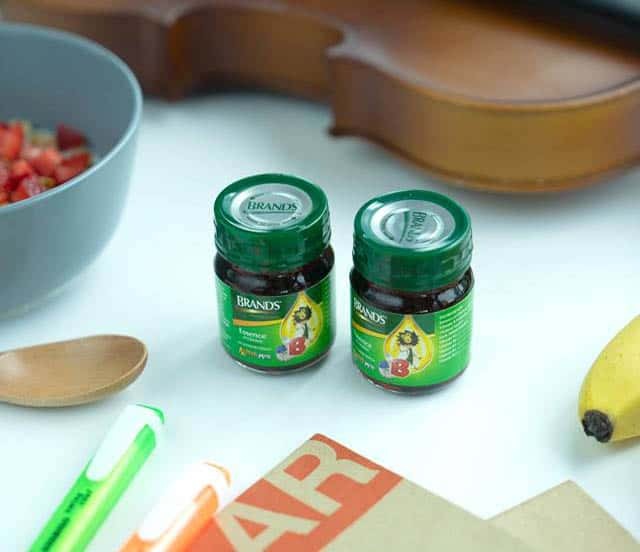 Supplementing your child’s breakfast with BRAND’S® Essence of Chicken for Children (AlphaMynd) can help to lower the glycemic response to high GI foods, such as white bread or rice. It is also clinically proven to reduce stress hormones, and increase happy hormones, helping your child feel confident at school. A 12-day trial of BRAND’S® AlphaMynd Essence of Chicken for Children with Vitamin B Complex, conducted with 150 mothers of local school-going children revealed that most would buy again (81%), and would recommend it to their friends (87%). Hear what some of them had to say in this video clip. Whole grains are low in calories and high in complex carbohydrates. 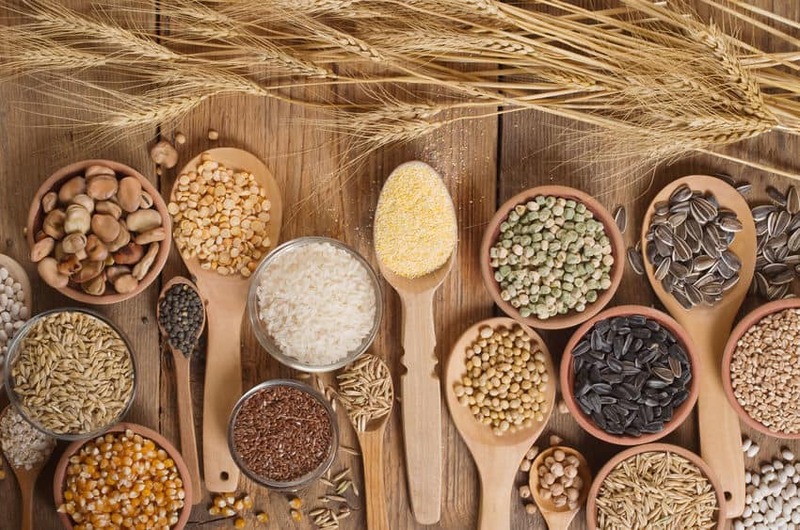 Popular whole grain staples include quinoa, whole wheat bread, oatmeal, granola, and flaxseed. Grains are key sources of nutrients such as fibre, B vitamins, and minerals such as iron and magnesium. Feeding your child whole grains at breakfast will help to keep hunger pangs at bay all the way till recess. So, the next time you are at the bakery, look for options with whole wheat, oatmeal, or flaxseed. Proteins, when ingested in the morning, can help your child’s brain to function at an optimal level. It increase the brain’s tyrosine levels, producing neurotransmitters that help to wake the body and maintain a good degree of alertness. High-protein foods that you may want to consider adding to your child’s breakfast menu include eggs, nuts and nut butter, yoghurt, and cheese. A dose of fresh berries in the morning, whether it’s blueberries, strawberries, or blackberries, is an excellent way to kickstart your child’s day. 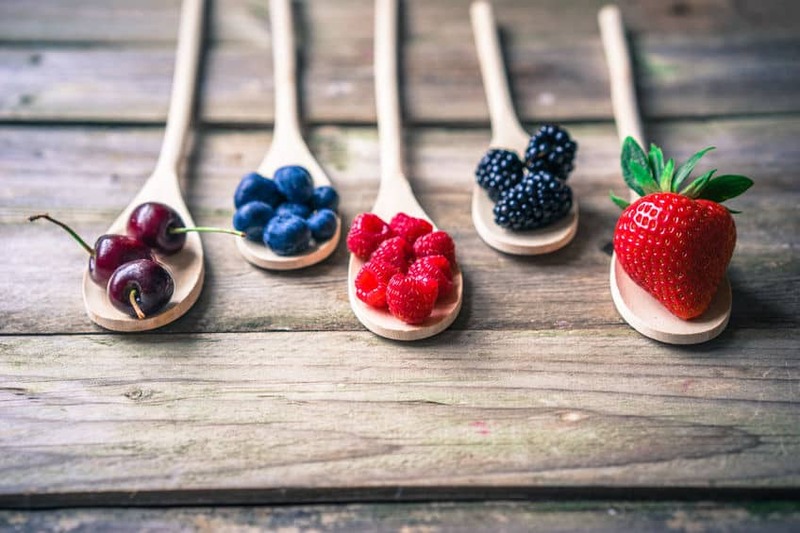 Berries are high in fibre and antioxidants, and are also low in calories. Antioxidants are known to combat free radicals in the body and therefore are essential in protecting healthy cells in your growing child. Berries are also easy to prepare. Just wash them the night before to cut down on one activity the next morning. Foods that are high in refined carbohydrates and sugars include white bread, pies, muffins, cakes, pancakes and cereals. Most of these foods lack nutrients and fibre, yet they pile on the calories. A chicken pie or a small bowl of chocolate cereals may look healthy enough for breakfast but actually contain significant amounts of refined carbohydrates. It is best to avoid such foods, particularly at breakfast, since they will not help to keep your child full or focused in class. Some of the most common processed foods that many of us eat at breakfast are low- or non-fibre cereals, cheese, and meat products such as bacon and ham. It is undeniable that they often taste good and salty so our little ones usually can’t keep their fingers off them. Unfortunately, consuming high amounts of processed foods can harm our bodies over time. Such foods tend to contain very little nutrients and fibre, and high amounts of sugar and artificial ingredients, such as preservatives, high-fructose corn syrup, flavouring, and colourants. So the next time you’re at the supermarket, look out for the ingredients on the label and try to keep these products out of your breakfast menu. Artificially sweetened drinks or fruit juices made with concentrate can really add on the calories without you even knowing it. Furthermore, getting on a sugar high at the start of a school day will not benefit your child, and may even make him feel more fidgety and hyper in class. By applying these seven power breakfast tips, your child will be on his way to becoming a highly motivated and happy learner at school.